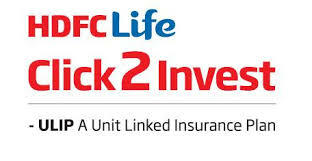 In 2006 and 2007 every one want to buy a ulip plan because that time our general public do not understand difference in mutual fund and ulip , that time most of insurance agents also misleads the investor they told him that " If you invest 10,000 per year in ulip for 3 years then you get 1 crore after 20 year. People pay these 10,000 per year and when they see NAV after 3 year they find they get nothing because insurance companies cut high insurance and management charges from there fund units so they withdraw his ulip after end of 3 year term and get near about principle amount. 2006 to 2011 is an initial stage of ulip plans so that time I am also warn investor to avoid ulips. where IRDA regulate strictly for expanses and charges in ulip and insurances companies also become smarter and they lauch new best ulip plans 2016. SBI Life eWealth insurance give hassle free investment management through automatic asset allocation. In SBI Life eWealth insurance you have choice of two plans options - Growth and Balanced. Premiums starting as low as Rs 10,000 for yearly mode and Rs. 1,000 for monthly mode. No premium allocation charges, thereby enhancing your fund value. Easy and simple 3 Step online Buying Process. You may also get twin benefits of life insurance cover and market linked returns. No withdrwaral is allowed in first 5 year so liquidity through partial withdrawal(s) from 6th policy year onwards. Get Section 80C benefit on your premiums paid, as well as section 10(10D) benefit on the maturity amount. Link to visit SBI Life site for more detail. No discontinuance charges. Only FMC & Mortality Charges applicable. Flexibility of paying your premium as Single, Regular or Limited paying term. Policy term could be between 5 to 20 years. Avail of benefits on premium paid under Sec 80C. benefits are exempt from Tax under Sec 10(10D). Icici pru wealth builder 2 is also an online plan which invest in your choice of equity, debt or balanced funds.